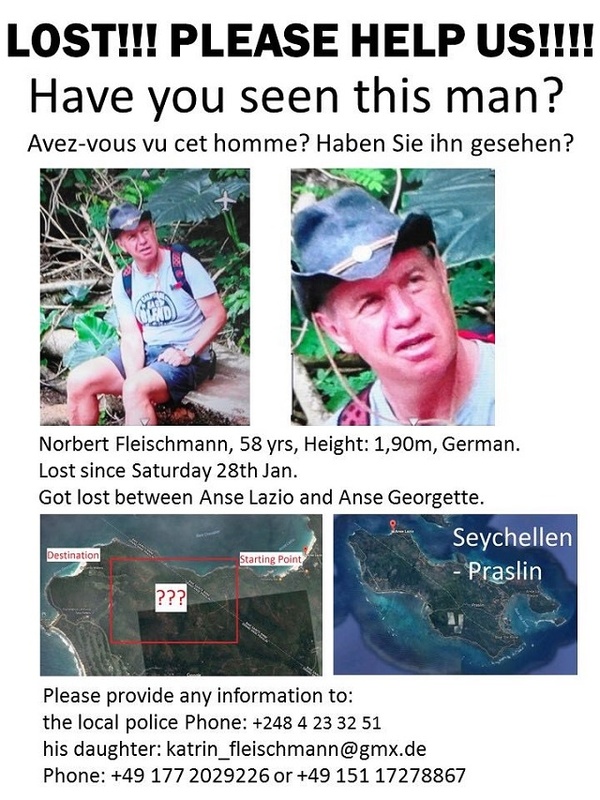 (Seychelles News Agency) - Seychelles' police force said on Thursday that the search for a missing German man on Praslin Island has been called off at sea but will continue on land. 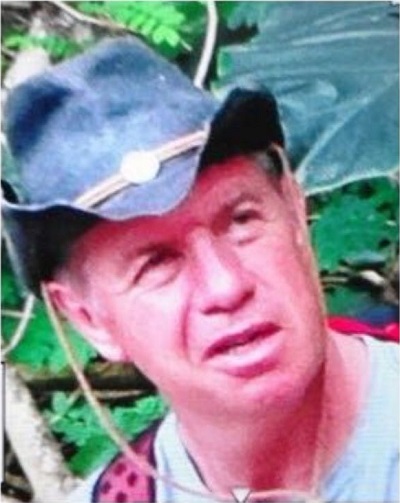 The Seychelles Coast Guard and the marine police joined the search on Tuesday for Norbert Franz Fleischmann,58, who went missing on Praslin, Seychelles' second-most populated island, on Saturday. “So far there has been no trace or physical evidence relating to the where about of the German,” Toussaint said. Until Wednesday, around 50 officers, which included police dogs, officers from the Fire and Rescue Services, Zil Air helicopter company, the Seychelles Coast Guard and the marine police, were involved in the search operations on land, sea and by air. The rescue team searched along the coast from Anse Lazio to Anse Georgette, the route of the trail where Fleischmann went missing. The search included patrolling the coast and the beaches in Anse Lazio and Anse Georgette, La Pointe Chevalier, Anse Kerlan, Amitie and also around ile au Foux. The German visitor and his wife arrived in Seychelles, an archipelago in the western Indian Ocean, on January 24 and were due to leave on the 31st.